Join Home Attendant Care in welcoming best-selling author Helen Thayer to the Skagit Valley Hospital Women’s Health Luncheon on May 23, 2013. Attendees will be amazed and inspired by her travels and personal journey. 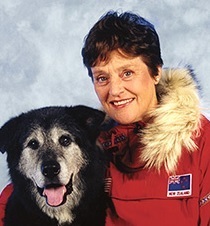 Helen is a National Geographic explorer and is best known for travelling the globe without guides or support teams. Her adventures have included visits to the Magnetic North Pole, the Sahara and the Arctic Circle. Along the way Helen has had to overcome incredible obstacles and problem solve issues to reach her goals. Helen has addressed countless organizations—both large and small—-from one-room schools in the Amazon to the White House. As a key note speaker she motivates audiences to truly believe that they have unlimited horizons. Bring a friend to this inspirational event in Skagit County. Register online today ($15) – includes lunch. Home Attendant Care is proud to be a sponsor of this event.